If you were self-employed or a small business, you probably qualify for the qualified business income (QBI) deduction. We'll automatically determine if you qualify and how large the deduction is. Select Federal on the left, and then Deductions & Credits near the top. Scroll down and select Wrap up tax breaks. Now proceed through any screens. If you qualify, you’ll see a screen that shows the exact amount of your QBI deduction. Important: While you can do this search at any time, you'll get the most accurate answer if you've entered all your income and other deductions as the qualified business income deduction is based on several parts of your return. However, we recalculate if you change anything or add more info, and the steps above will always give your current status. 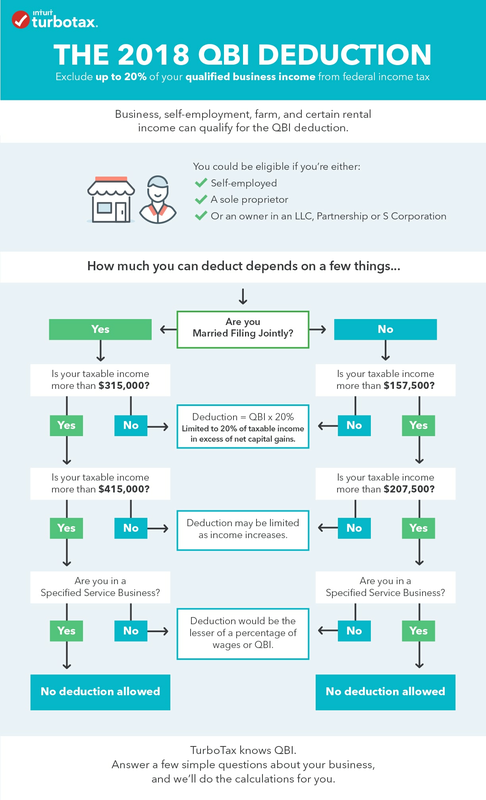 If you’d like to know more about the qualified business income deduction and how it’s calculated, we’ve got more information about it.